Hello from Greece! Oh, how much I love the sunshine. I was looking to rent a car for few days in Greece and interestingly I found that expanding your research can get you excellent results for car rentals. Usually when in the UK or when the price is cheaper I rent Hertz since I have a Gold card with them which gives me free additional driver and a 4 hour grace period and supposedly a discount too. However in Greece, Hertz was the most expensive option I could find and I received three prices via three different ways for them. I usually look at several websites to compare prices before I decide. As a guide the websites I look at are Car Hire 3000 which I use to benchmark the prices I should receive on a Hertz website or other websites. They are an aggregator and work with local companies as well. They used to be very cheap and have had great bargains on car rentals. The price I was quoted for a three day rental was £50. British Airways, which I can earn Avios from, were in the £80’s for the same duration; so they were not even in the list. 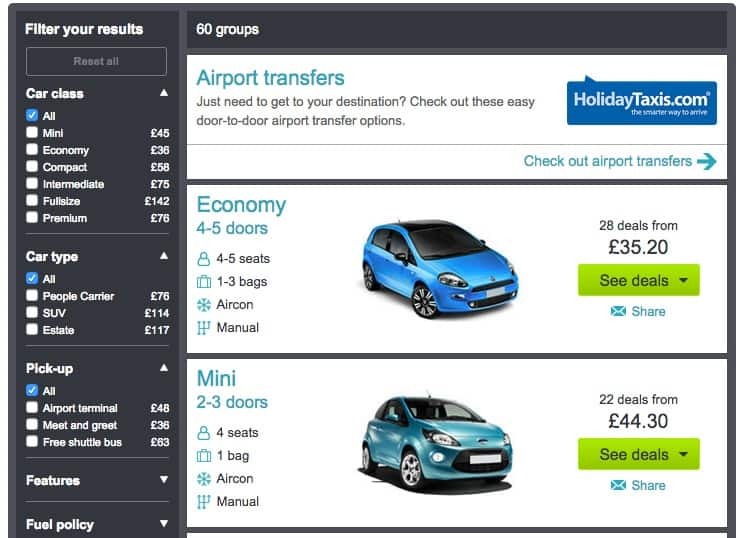 Travelsupermarket.com which has a car hire aggregator tool as well gave me a reasonable price for three days for £43. Considering that £43 is the cheapest and provided me with exactly the same choices it seemed the most reasonable price to book. However, I remembered that Skyscanner.net which I love for flights also started a hotel and car hire options and I had never tried it. I was actually on the website looking for flights when I saw they have car hire too. I definitely didn’t expect them to be cheaper but they were. Three-day car hire via scyscanner.net directed me to Atlaschoice for £35. That is £15 cheaper than when I started. Also, this included bringing the car back later than the expected time and it was counted as four days. If I had a longer rental period I would have saved even more money. Always shop around and never just pick one option even if you earn Avios or other membership points. If I had booked the Hertz option or British Airways Avis car I would have earned points but I would have paid more than double for exactly the same rental, unless of course, someone else is paying the bill. If the prices are the same or a few pounds more than by all means book it and earn the points. 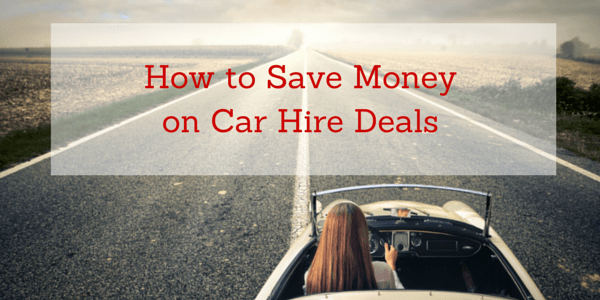 For a discount car rental, it is always best to shop around. So far Skyscanner proved to be the cheapest on two destinations where I needed a car. 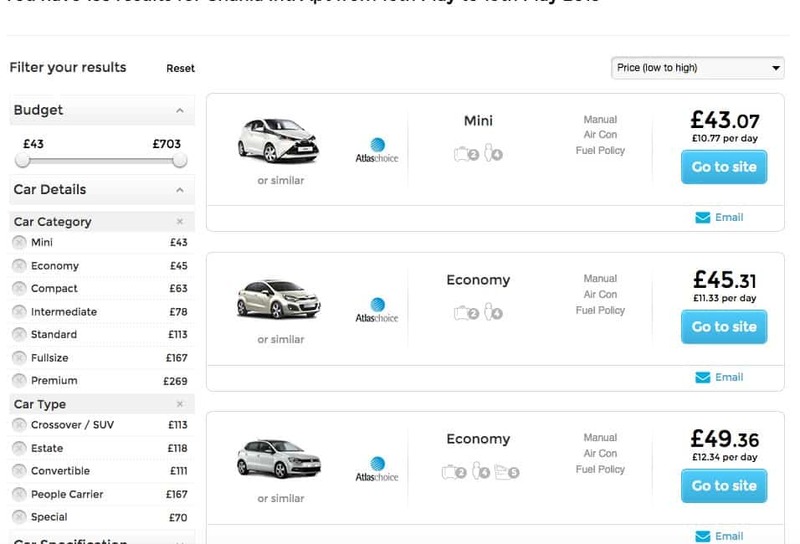 You can also try to see if you can earn cashback from your car rental via TopCashback which seems to be available for more car rental companies. Tip: Always buy car excess insurance to cover you in case you are actually in an accident. The excess on such rentals is high; mine costs 650 euro which is extremely high. A full year of excess insurance costs me only £35 via a third-party and it was £20 from the car rental providers. It’s a no brainer which one you should pick. Just tried skyscanner and found a rate over 30% less than the cheapest one I found on my own (and I did extensiive searches).